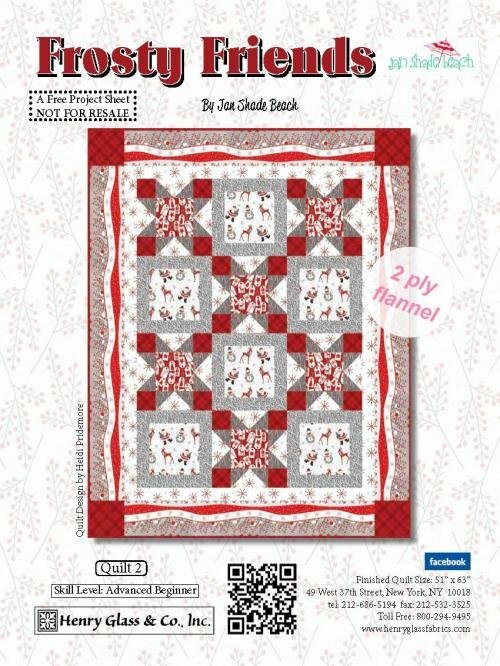 The Frosty Friends Quilt Kit features the ever popular winter grey and red holiday prints in cozy flannel. The Frosty Friends Quilt Kit includes the pattern and the fabric for the top and binding. The finished quilt measures 51" x 63".